During the second Saturday in May, National Dog Mom’s Day sends out a chorus of yips, barks, and howls of praise for all the dog mommas! Our dogs are our family members, whether they came into our lives unexpectedly or as carefully planned additions. We adopt them as puppies, adolescents, or fully mature animals with a bit of baggage and yet, we find common ground, a connection and bond like families do. They know our moods, and we know theirs. We care for them, shelter them and share an immeasurable loyalty with them. National Dog Mom’s Day recognizes the bond women share with their fur kids. When they humor us, charm us or even when they are naughty, they are like any other child to us. 1. On National Dog Mom’s Day make sure to get some extra cuddles. 2. Bake up some yummy homemade puppy treats. 3. Plan for some double pampering – a pedicure for you and paws for the puppers. 4. Then take an extra special selfie with fur baby to mark the occasion. 5. Dog Moms in New York City and New Orleans can celebrate at the FREE official Dog Mom’s Day events with treats, drinks, and praise for dog moms! Use #DogMomsDay to share on social media. 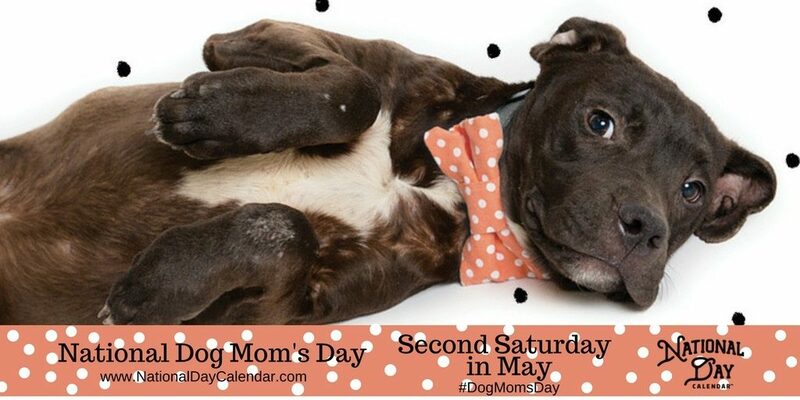 The Registrar at National Day Calendar proclaimed National Dog Mom’s Day to be observed the second Saturday of May beginning in 2018. Dog people are always looking for ways to get dogs in their lives. You’ll linger near the dog park’s fence, you’ll repeatedly offer to dog-sit while your friends are away, and you’ll scan every dating app for photos of potential matches with dogs at their sides. If you’re lucky enough to own a pup, you know that things never work out with someone if they’re not as into your dog as you are. So Dig founders Casey and Leigh Isaacson built a dating app that connects dog people based on what’s most important to them. Dig is the best way for dog lovers and dog owners to find a compatible date. This entry was posted in Pet Holiday and tagged #DogMomsDay, Dig App, National Dog Moms Day, Second Saturday of May on May 11, 2018 by Rebecca Symon.